This is the ultimate Tides app for the Netherlands and the Dutch part of the North Sea. 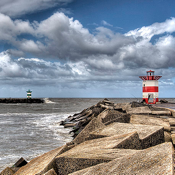 You can store your favorite measurement points, and check the sea level variations of all measurement points of in The coastal waters of the Netherlands, the North Sea and all large inland water bodies and rivers. + Includes today's Tidal clock with spring- and neap tides, and Sun + Moon data. Al values are shown in NAP and where applicable in MSL (Mean Sea Level). Please do note: the interface language of this app is Dutch, but the data will probably be clear and understandable. If you have any questions, please let us know via the support-URL. We'll be glad to help you.